It's one of the biggest weekends on the wrestling calendar, and it's also a snow day. 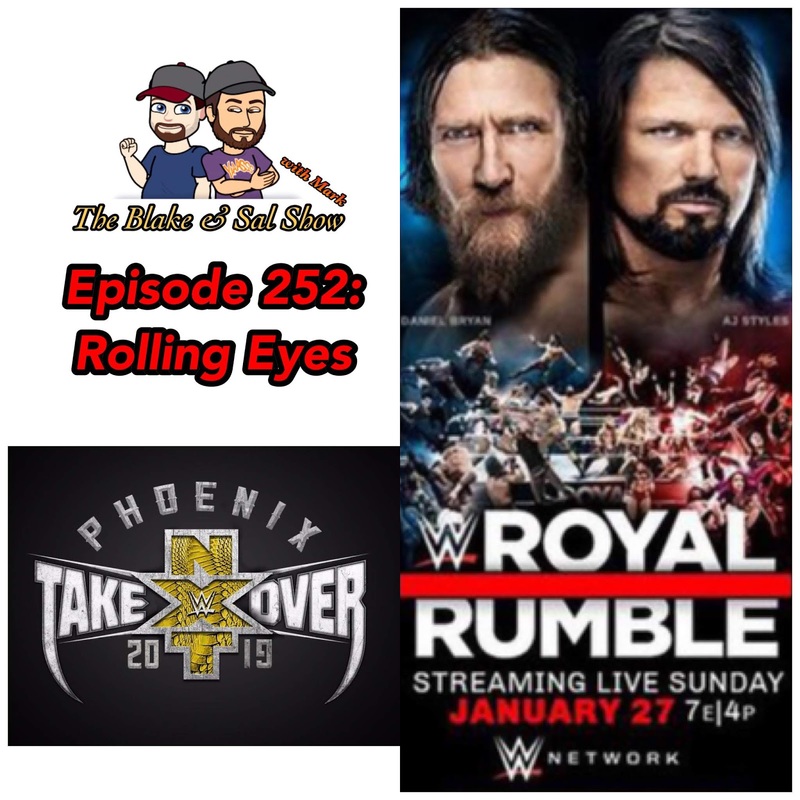 So the guys bring Mandy onto the show to discuss NXT Takeover: Phoenix and the WWE Royal Rumble in full detail. Before that though, Blake saw Bumblebee, Mark saw Glass, Blake and Mandy are watching Carmen Sandiego, Celebrity Big Brother has started and everyone gives their thoughts on one of the craziest NFL Championship Sundays in the modern era and the Miller Park controversy. All that and more.